Solitary has as many definitions as entries in this week’s Photo Challenge and is, as we have seen, not a state unique to humankind. Our barbet, although spoiled and overwhelmed with love, knows the meaning of “alone”. 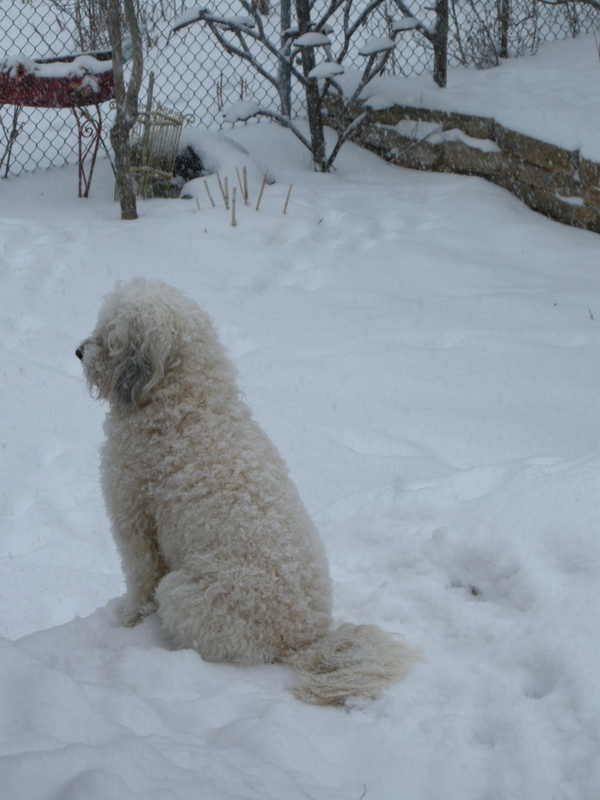 Lonesome for his friend, even the first snows of winter do not deter him from his vigil – he sends his doggy thoughts across the fence and waits patiently. The reward is in the simple pleasure of play. Here, his coat is about half-length – by February he is quite shaggy! Good idea – thanks for the heads up! Yup, and then he walks funny afterwards!